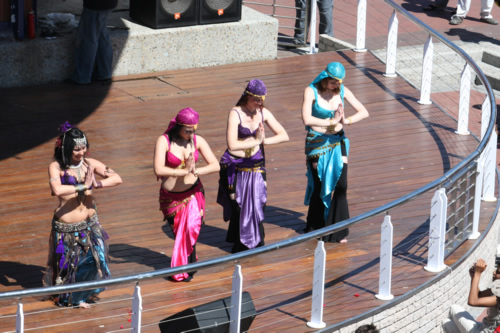 The Third International Oriental Dance Festival in Cape Town was organized by Asja Samia. 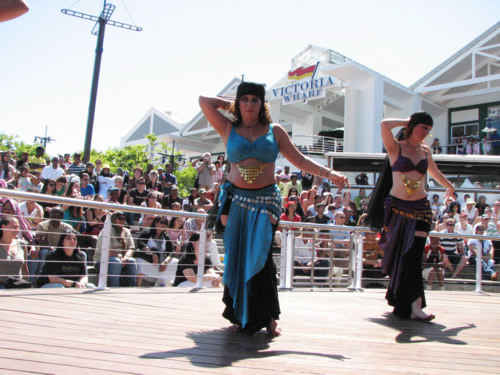 Visit her website www.ajsasamia.com or iorientaldancefestival@webafrica.org.za. 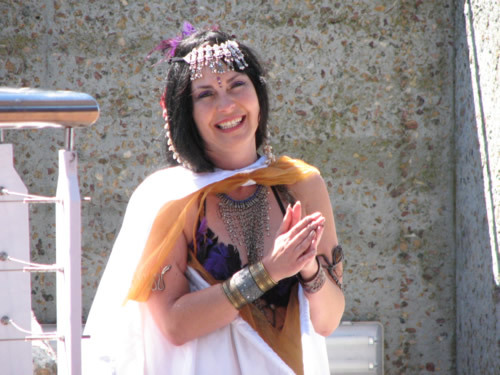 Urshulah was joined on stage by 4 bellydancers from her studio,Bellydance Infinity. The perfromance was titled 'Tales from the East.' She opened with beautiful white and gold wings and fused tribal with Indian dance postures. 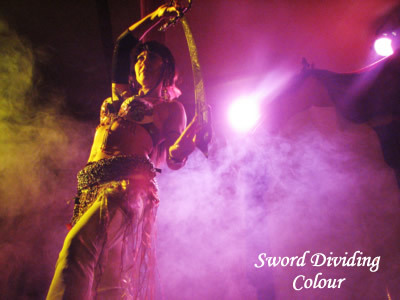 She ended with tribal sword and a fire sword performance. Urshulah and her dancers at the rehearsal. 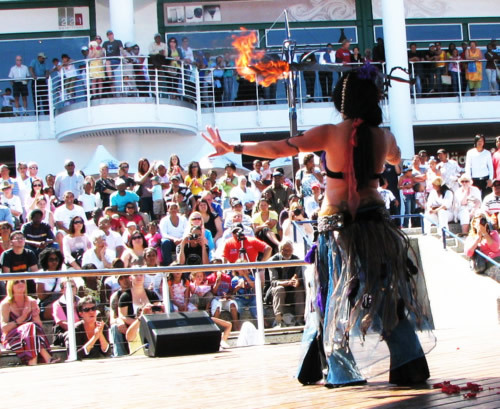 At the V & A Waterfront Amphitheatre 9 students joined the stage for a beautiful varied performance including tribal, veil and fire sword. It was a wonderful experience with a lovely crowd although floor temperatures soared. Some of dancers received medical treatment afterwards for burns under the soles of their feet although you don't see a hint of pain on their faces.